“The best café in North Yorkshire” So says the website and who are we to argue [mind you, there’s Bettys…] but Sandsend is a pretty good setting. The North Yorkshire Coast is full of variety, from Whitby’s Goth Festivals and Fish’n’chips, through to the delight of Runswick Bay’s houses tumbling down the steep cliffs. Somehow Sandsend has become, in property price terms, the jewel of the area – the most expensive area to buy property on the North Yorkshire Coast. Mostly a single line of cottages set back from the promenade, mixed ages, some charming some fairly typical in their 1960s/1970s “restorations”. A good deal still owned by the Mulgrave estate. A mixed bag of tourists, with lots of families digging sandcastles on the beach, and lots of walkers with/without dogs – they have a ban on dogs on the popular part of the beach. At low tide there’s a beautiful walk – about 3 miles – along the beach to Whitby and back. It’s amazing how hard the walking is on sand – better if you’re closer to the sea where the wet sand is hard packed. You can do it at high tide, but it’s more road and less beach. 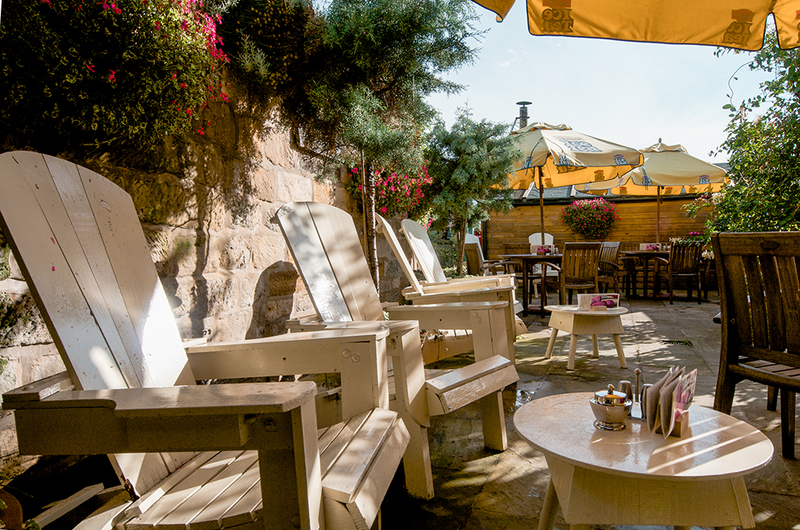 Stop for lunch, explore the town or have an ice cream in Whitby and then head back for refreshment at the Wit’s End. Images from the Wits End website. Interestingly there was a spectacular railway line which ran right along the coast from Whitby towards Middlesbrough, with viaducts crossing all the valleys at Staithes, Sandsend etc. 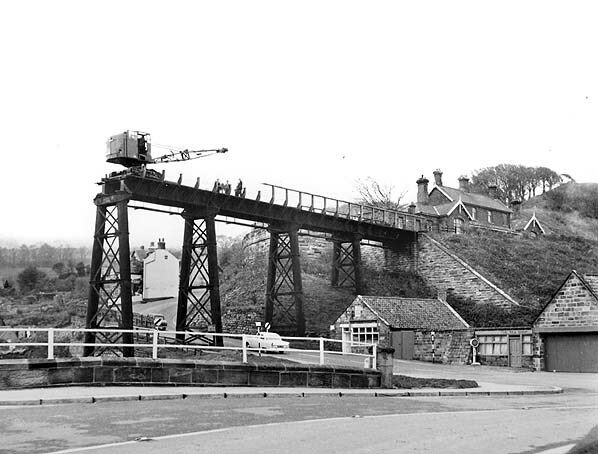 The railway was closed in the 1950s and the viaducts demolished. The image below is from disused stations and you can find a range of images of the railway right from the 1880s – very atmospheric. The current Wit’s End is the small building just under the viaduct.